New amenities for a great program: Janet Clark, right, vice president for academic affairs at Saint Mary-of-the-Woods College, explains to Lt. 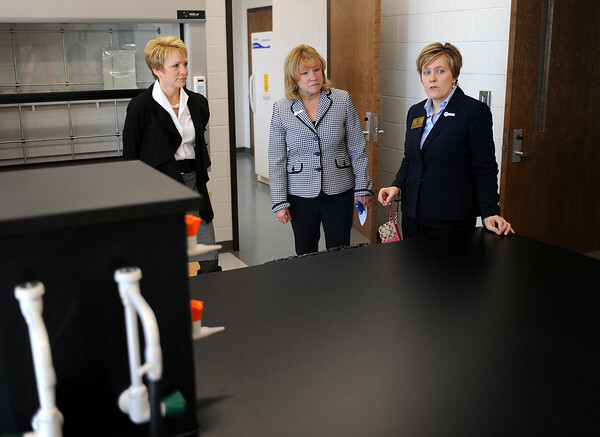 Governor Sue Ellspermann, left, how the college has renovated its science labs during a tour on Wednesday at the college. In the middle is SMWC President Dottie King.